ANKLAM, Germany — Automotive supplier and tire manufacturer Continental recently opened a new research laboratory here to research the use of dandelions as an alternative to the rubber tree. The Taraxagum Lab Anklam will be set as the base for future research on farming and the extraction process of Russian dandelion as an alternative raw material source to the rubber tree in the tropics. 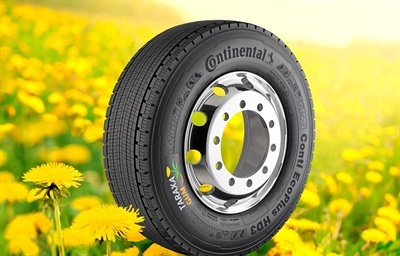 If initial test results indicate viability, the tire manufacturer is planning to introduce the raw material into serial production within ten years, according to a news release from Continental. Also in attendance at the ceremony was Harry Glawe, minister of Economic Affairs of Mecklenburg-Western Pomerania, Michael Galander, the mayor of Anklam, and site manager Dr. Carsten Venz. Setzer added that the company’s investment in the new laboratory is part of its Vision 2025 business strategy, in which Continental has invested more than 2 billion euros in production, research, and development as well as in jobs and new products. Approximately 20 employees with background in agricultural sciences, chemistry, and production and process technology will conduct research on plant cultivation, in addition to developing, setting up, and operating machines for processing Russian dandelions at the new location. Continental had presented plans for the laboratory in August 2016 and began construction in November 2017. For more information about the Taraxagum project, go to www.taraxagum.com.